Obiwan I am validating that this deal works as described. 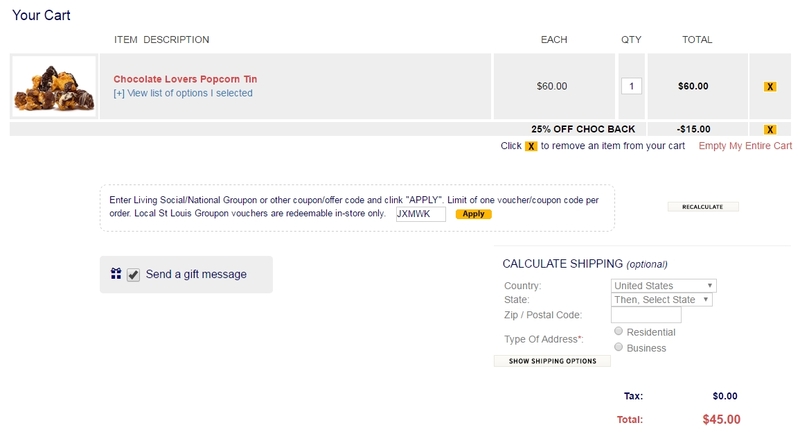 Only put this code into the "promo code" box, and enjoy the discount. Laura DeLuca Cannot be combined with Groupon/Living Social/SaveLocal or any other coupon or offer. 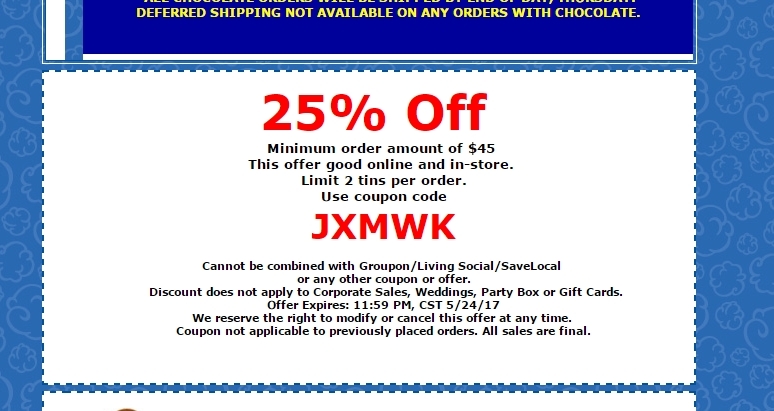 Discount does not apply to Corporate Sales, Weddings, Party Box or Gift Cards. Offer Expires: 11:59 PM, CST 5/24/17 We reserve the right to modify or cancel this offer at any time. Coupon not applicable to previously placed orders. All sales are final.